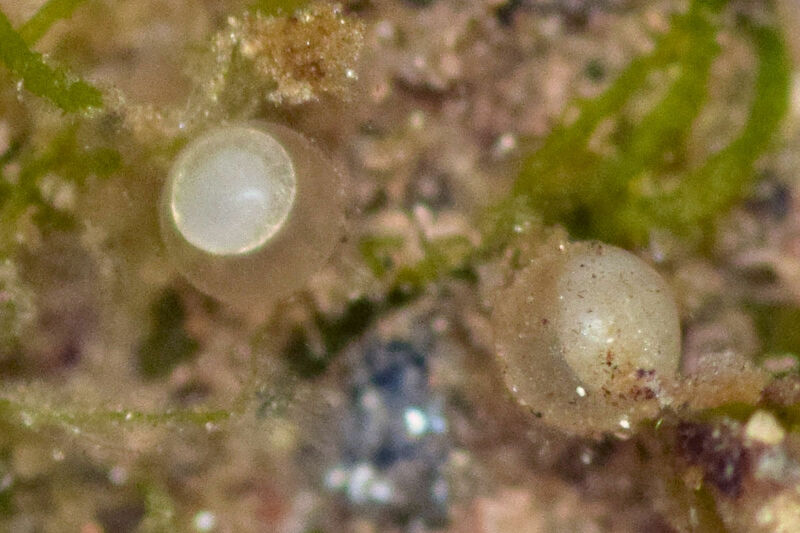 I photoed these 1.1 mm diameter smelt eggs at the head of Gulliver’s Creek in the Neponset Estuary in Milton on May 2nd. They are mostly translucent but include a whitish cap at one end. 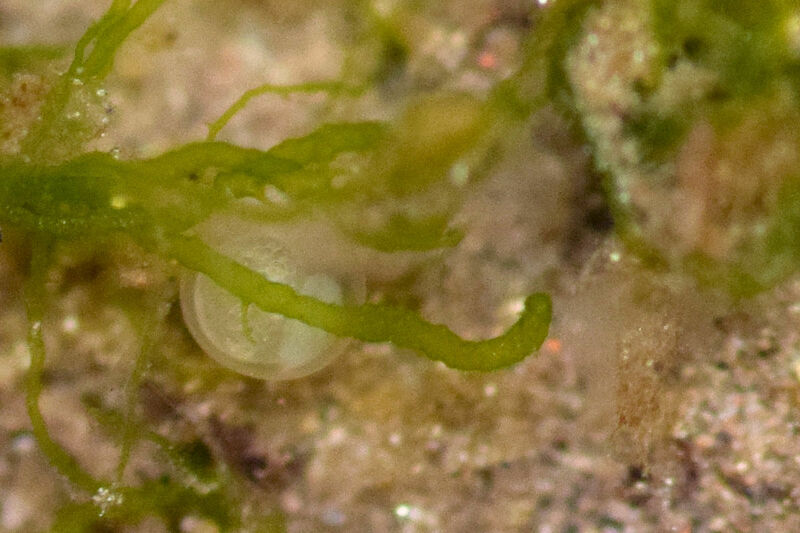 The cap is an embryo; the translucent portion is the yolk. I thought the fish would arrive later this year due to the cold spring, but in fact I never saw an adult, and I didn’t see the eggs until May 2nd, when I wore boots and waded into the current. When had these eggs been laid? Based on the growth of the embryo, they weren’t brand new, but they hadn’t yet developed the black eye-spots that are the first sign of a whole fish. 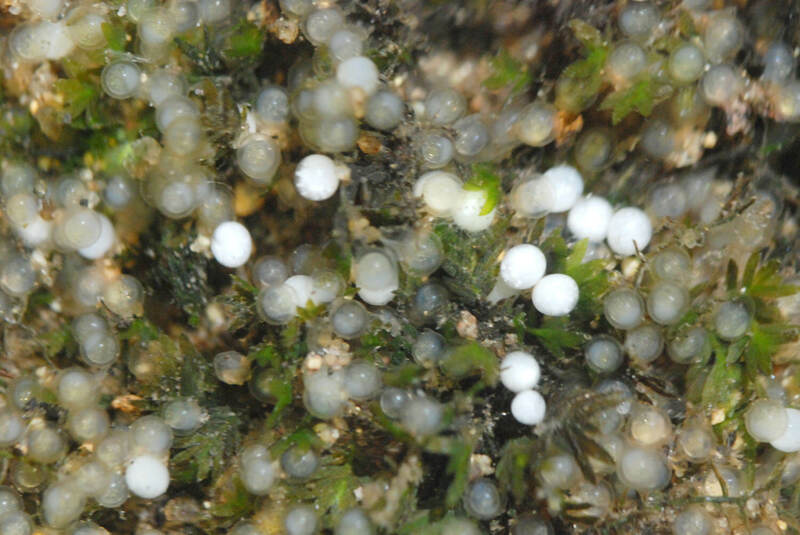 Most sources say that the interval between laying and hatching for rainbow smelt eggs varies from 8 to 29 days. My guess is that the eggs were already in place during my prior visits, maybe as early as April 12, but there were so few that I hadn’t noticed them. There were none, for instance, on the portions of the streambed rocks that protruded from the water, where I had seen them in prior years. But I haven’t seen any adult fish since 2016, when I saw a school of about a dozen ascending the creek on April 9, and noted a few dead ones chewed by raccoons on the 16th. 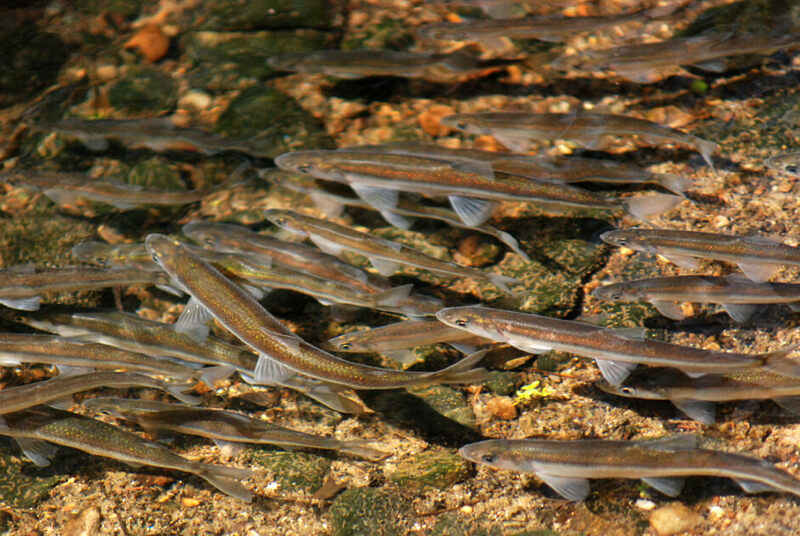 Rainbow smelt live in the brackish water of estuaries for most of the year, and ascend streams at high tide on dark nights in spring to scatter their adhesive eggs in gravelly riffles just above tidewater. They were once abundant from New Jersey north to Maine and beyond, but no longer occur south of Long Island Sound. In Boston Harbor, which featured many strong runs through the 1980’s, they have suffered steep declines, and the shrinkage throughout their range prompted the National Marine Fisheries Service to list them as a Species of Special Concern in 2004. 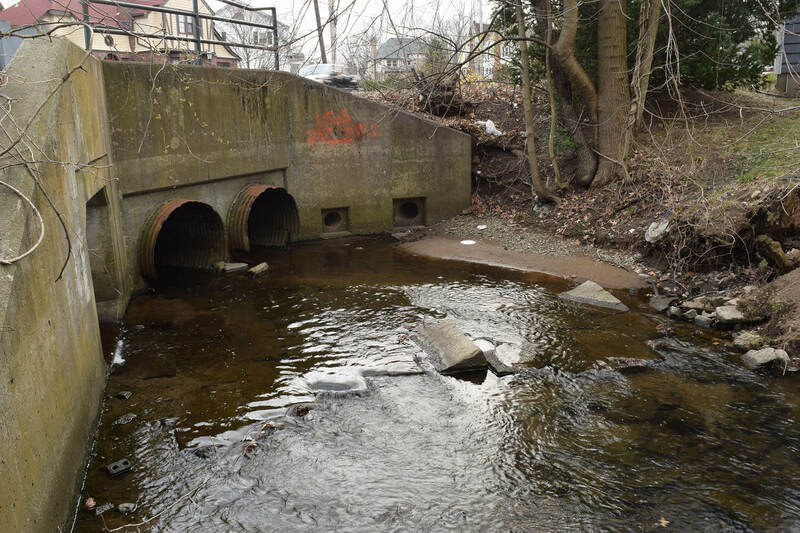 What’s happening to the smelt in Gulliver’s Creek? Boston Harbor is much cleaner than it used to be; why are they continuing to fade? I’m dreading the day when I’ll come back to the creek and find no eggs at all. Thanks, Tom, for this concise update.